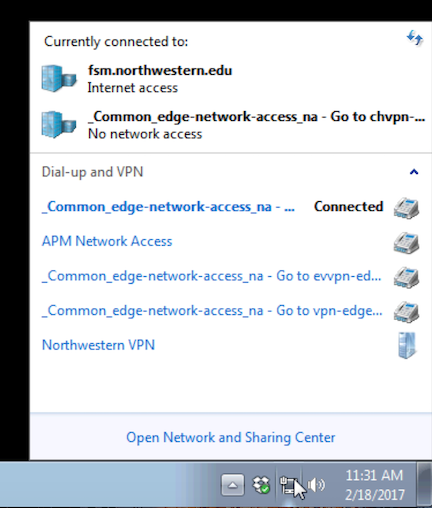 If you have any questions or need to have your personally-owned computer configured to use the F5 Big-IP client, contact Feinberg IT at fsmhelp@northwestern.edu. 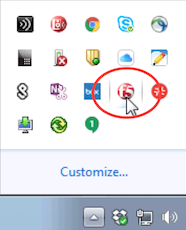 or click the system tray and double-click the F5 BIG-IP Edge icon. 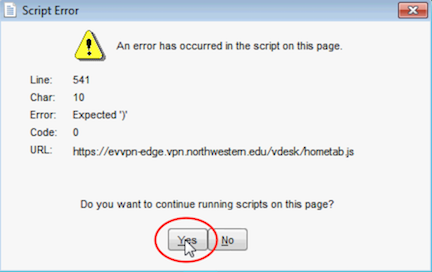 Click Connect, and when the logon window is displayed, enter your NetID as the Username and your NetID password as the Password. Check the Save Password checkbox, then click Logon. 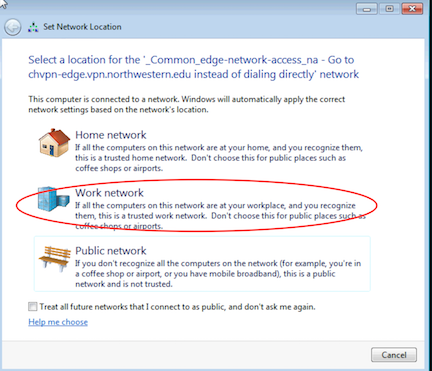 You may see the following windows if this is your first time connecting. Click Add this site to your Trusted Sites list, and always allow inspection from this site. The F5 BIG-IP Edge client will initialize and connect. The F5 icon in your system tray should now be red. To disconnect, click on the 'Disconnect' button. 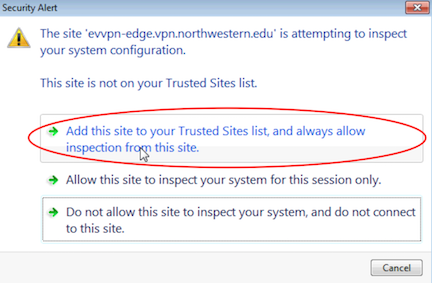 You will see the "Common Edge" and "APM" networks in your system tray.